Dig Deep Coaching comprises former pro riders Stephen Gallagher and Dan Fleeman, with Mandy Collie providing business expertise to the team. The company works closely with National cyclocross champion Ian Field, who was up in Fife recently for a two-day training camp organised by some of the Team Leslie Bike Shop / Bikers Boutique people. 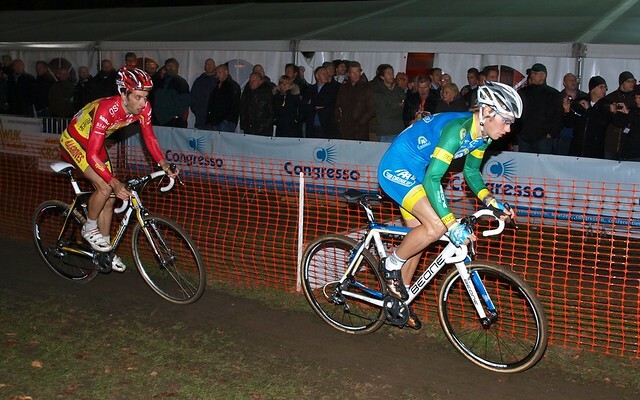 Dan and Ian released a webinar entitled ‘Cyclocross Season – Time To Get Ready‘. The 1-hour presentation comprises audio and slides covering a vast array of tips to get more out of your cyclocross racing, including equipment choices, skills drills and training sessions. I have always enjoyed absorbing as much of this sort of information I can during the past 5 years racing. While it’s always enjoyable and sociable to just go out and ride with clubmates, I found that doing working on my own (to heart rate, although power is better) with specific training sessions, and focusing on structured high intensity interval sessions allowed me to get the best race fitness while juggling the finely balanced work/family/cycling equation. Tips from the Two Johns Podcast, Coach Joe Beer Podcast and Joe Friel’s website added to my knowledge over that time and I highly recommend the webinar above. If you want to take things further, Dig Deep Coaching offer 6 and 12 week training plans for cyclocross. A friend of mine, based in rural Aberdeenshire, found that his connection speed was too low to run the webinar, so for his benefit and that of others, I’ve summarised the key points below. Practice at race pace: it’s entirely different! Remember to practice full-gas starts! This entry was posted in Amateur cycling and tagged coaching, cyclocross on September 19, 2014 by Owen.